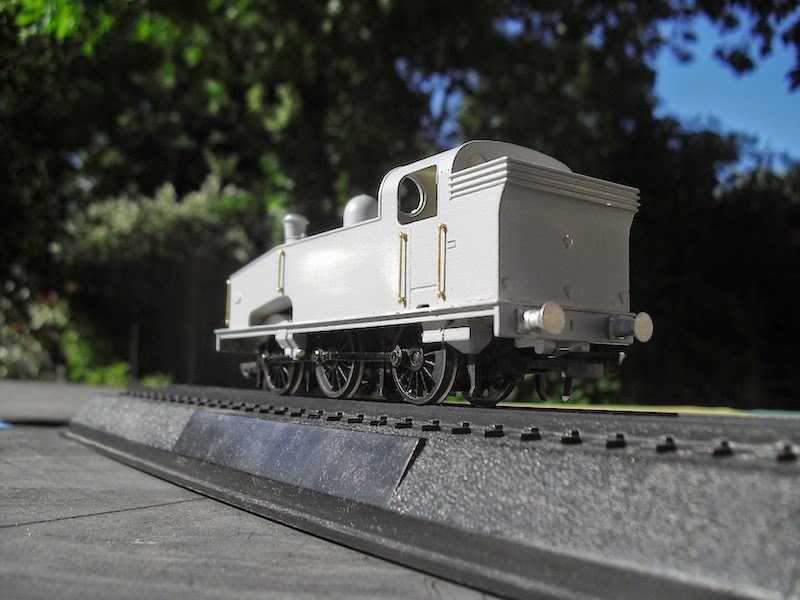 THE BRITISH RAILWAY STORIES LTD: "AJModels J50/3 tank engine "
The sun was out, so I thought it would make a nice change from all of the Pacifics I've been building the last year or so to showcase what I can only describe as the next big thing in railway modelling. 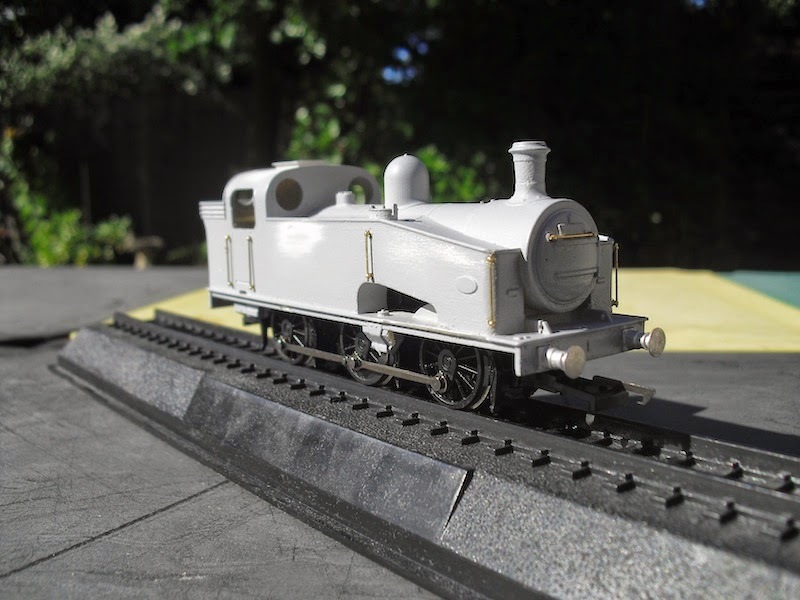 AJModels have produced a superb 3D printed kit of the Ivatt N1 previously; indeed, I reviewed one and produced photographs to add to his excellent instruction manuals. 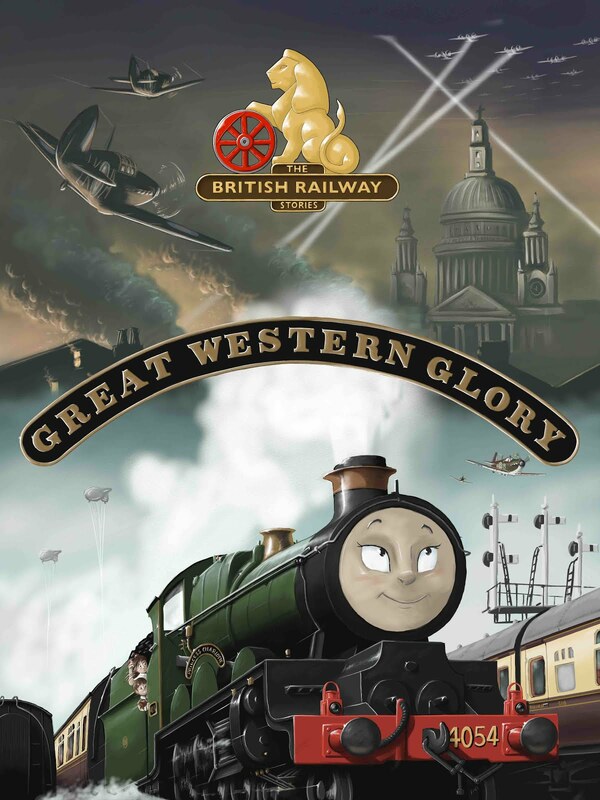 His latest model is the Gresley J50, coming in various guises. I have previously shown this model (kindly donated for review and research) on the blog, but it is further along now and requires a little reintroduction. This particular body shell is for the Gresley J50/3 sub-class, and it matches the drawings and photographs I've gathered over the years extremely closely. 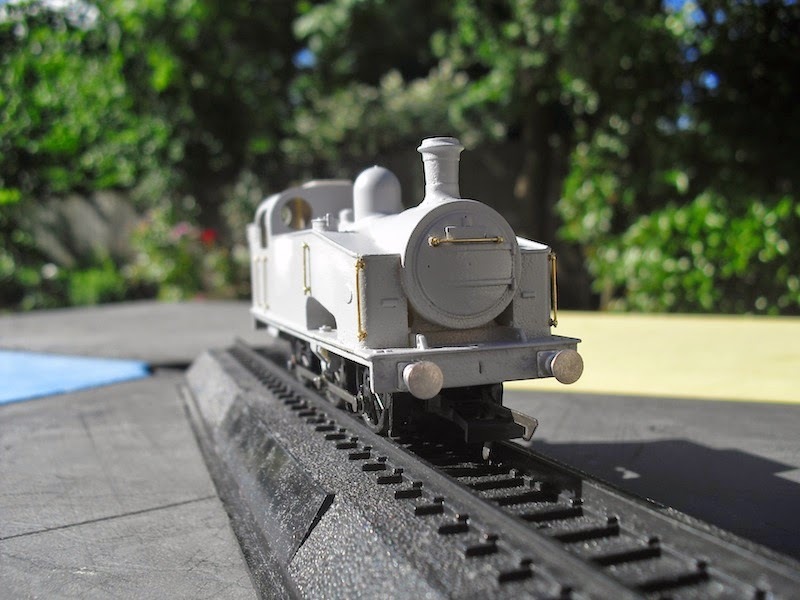 Previously, I added two sets of whitemetal LNER group standard pattern buffers. Yesterday, I added handrails, which have been fitted all round the locomotive. The body shell has dimples designed in so that you can drill out the holes in the right places. Note that I haven't sourced a smokebox door dart yet! 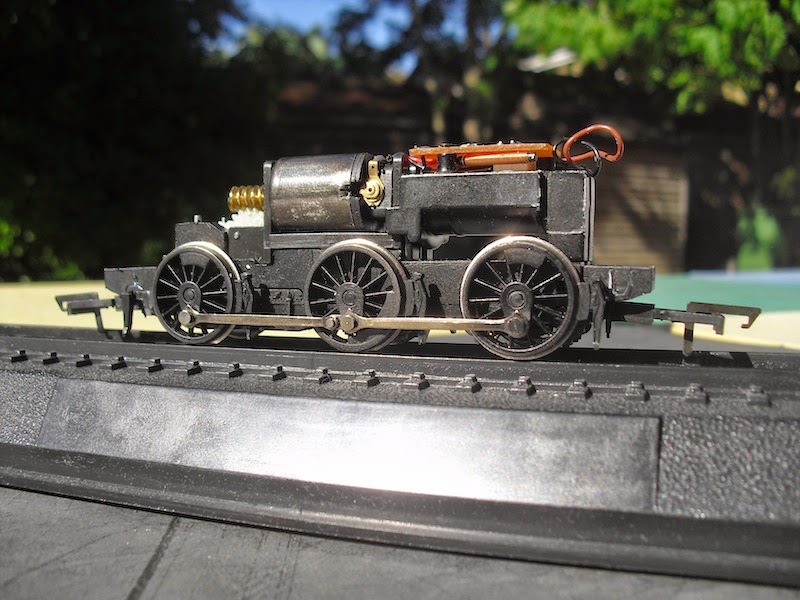 Items to add include lamp irons, coupling, grab handles on the smokebox and on the cab. The chassis (originally from a Bachmann Pannier tank) has been modified with the removal of all of the sandboxes at the front and rear with a sharp scalpel, carefully applied at the front and behind the sandboxes. You can still see the marks (deliberately not sanded back as yet so that I could demonstrate where the cuts needed to be made). 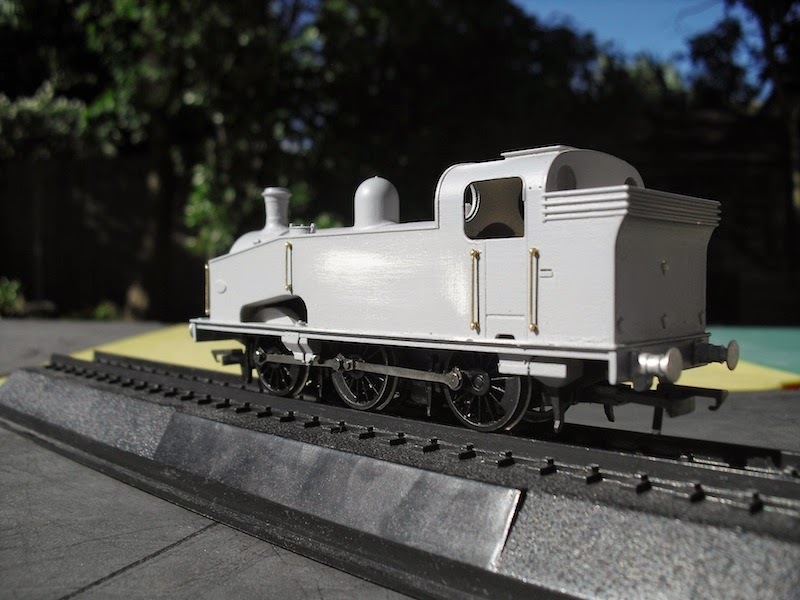 This 3D printed body shell is likely to be the best way of producing a J50 in this scale. It is also available with a 3D printed chassis for the correct wheelbase, which looks extremely promising.